Beneath the Rowan Tree: Waldorf Tuesday :: Rain, Rain...Please Stay! Enjoy these rainy day inspired Waldorf toy picks... all natural fun for a much needed rainy summer day! Raindrop Dolly, by Fox in the Woods. A Drop in the Bucket, by this cosy life. 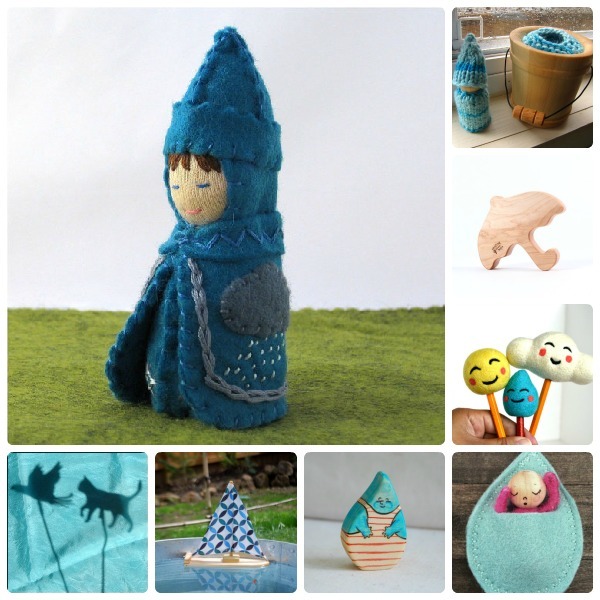 Thanks so much for featuring my weather gnome! I am honored. I love it that you have a shadow puppet tutorial. My daughter goes through phases where she sets up a makeshift screen and puts on puppet-shows with her official shadow puppets plus various other figures. My pleasure, thanks for creating such lovely dollies!